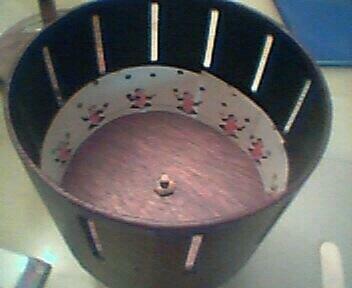 Spin the zoetrope around and look trough the slits on the sides. The clown appears to be juggling. This was the forerunner to modern-day animation.